The Ultimate in Digital Audio Performance! 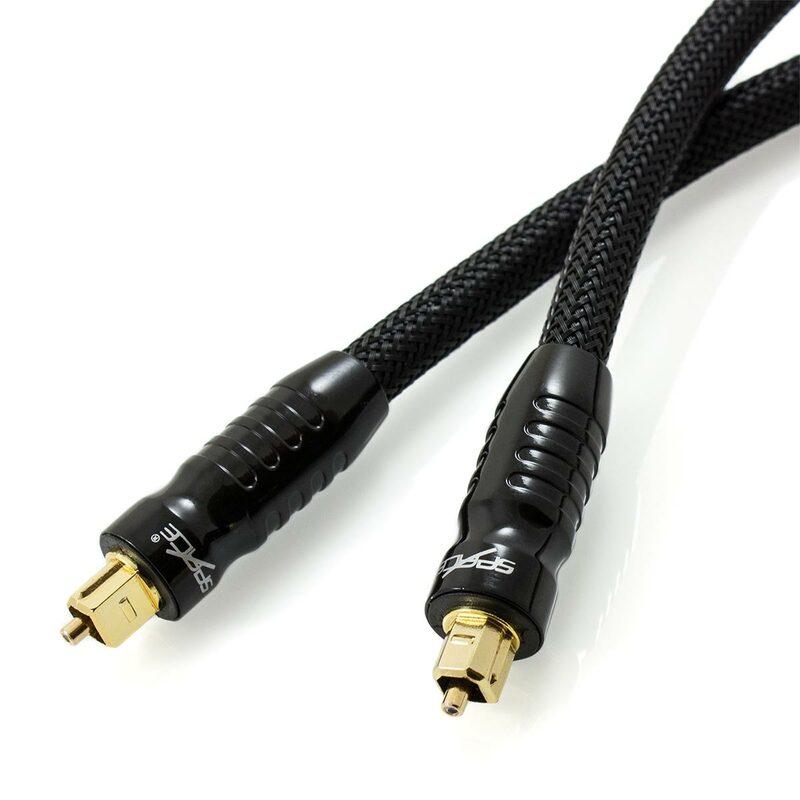 This Space Saturn Series™ Optical (Toslink) Cable is designed to provide unrivalled audio performance. As this cable utilises a low loss optical core, there is absolutely no possibility of electromagnetic interference (EMI), radio frequency interference (RFI) or ground loop interference. 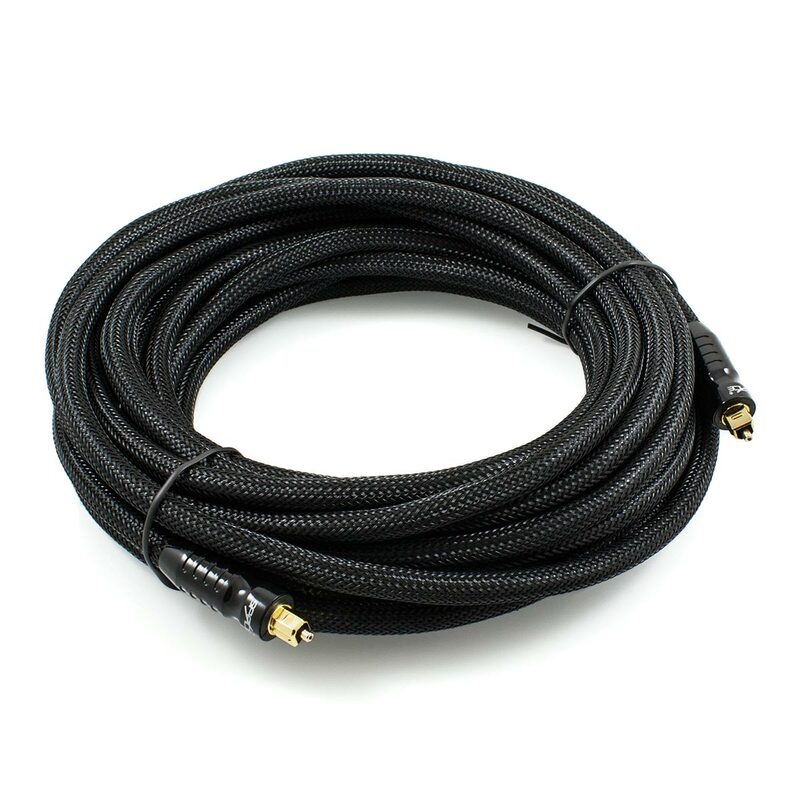 To provide you with flawless, noise free transmission this cable features a precision polished fibre tip. 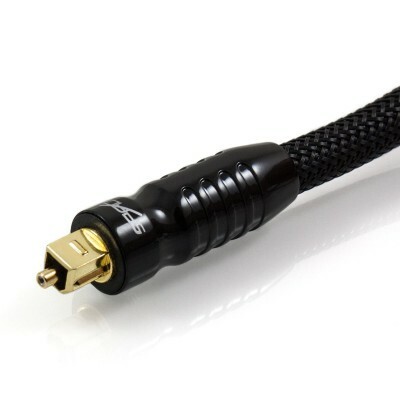 The 24k gold plated ferrule will also ensure that the connector will also not corrode over time. These features combine to provide you with an Optical Cable that will offer a reliable, crystal clear signal for many years to come. To ensure an extreme level of durability, this cable also features a zinc alloy plug housing with a stunning high gloss black finish. 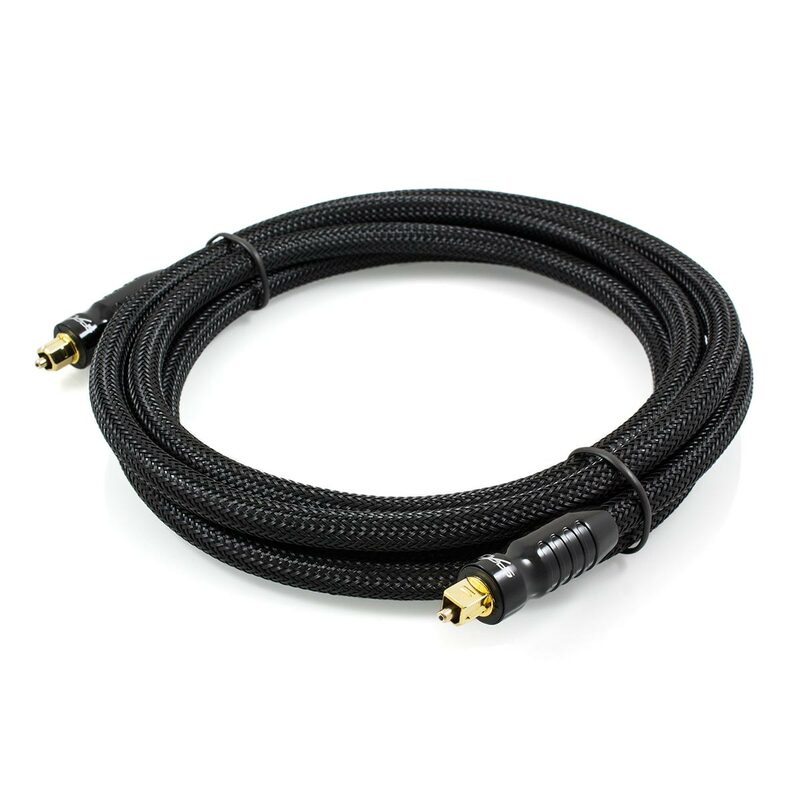 To add the final touch, this superb cable features a high density, triple weave outer braid. Besides adding an undeniable level of aesthetic appeal, this also greatly improves durability to guarantee long term performance. Supported audio formats include Dolby Digital (AC3), DTS and LPCM etc. Bought this to connect my Ultra HD TV to new Onkyo receiver. Great sound, couldn't be better. Excellent quality. Product as described. Fast delivery.